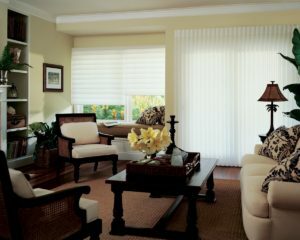 Shopping for Blinds, Shutters, and Shades in Coral Springs, FL? Call Us Today! Coral Springs, FL is a great place to live, with many neighborhoods for families of all sizes. Do you love the Florida lifestyle, but you are having a hard time choosing the right home for your family? Then, you might consider the option to buy a fixer-upper to create the home of your dreams. A little bit of renovation work, combined with new flooring and window coverings, can go a long way to create the perfect lifestyle for your family. Here at Open House Interiors, we are experts in the window covering industry. Our team offers shades, shutters, and blinds for home remodeling and new construction. We take a unique approach by providing custom solutions for every customer. We know that there isn’t a cookie-cutter approach to every home. So, we will ask the right questions to understand your needs and preferences. Then, we can recommend options that will be suited for your family. The overall quality of your home has a direct impact on your satisfaction. If you aren’t happy with the appearance of each room, then you need to make a few changes. New window coverings can go a long way to transform the appearance of your home and improve your happiness at the same time. If you are unhappy with the window coverings in your home, then we encourage you to call our team for a consultation. We will come to your home to complete an inspection. This meeting is a great opportunity for us to provide a proposal. Another option is that you can visit our showroom to see examples of the products that are available. Some families have money in the bank to pay for these upgrades. But, other people don’t have the cash available. Just because you don’t have a savings account for your home improvement projects, doesn’t mean that you need to wait. One option is to look at financing services that are available. Sometimes, homeowners can get a small loan or home equity line of credit to finance the projects. Banks are often willing to finance these efforts because the projects will boost the value of the home. The cost of your blinds, shades, or shutters will vary depending on the number of windows in your home and the materials that you choose. If you are worried about the cost, then we encourage you to talk to our team about your budget. You might be surprised to see how many options are available within your price range. We are working hard to provide the best products that money can buy, without breaking your budget. It is common for homeowners to get a few proposals for the same home improvement project. As you are comparing these proposals, be careful to understand the details included in the price. Some people choose the cheapest proposal, only to find that important details were left out. Never settle for a lower price tag if it means that you will have low-quality materials in your home. Look at the proposal breakdown to ensure that it includes the cost of the materials and the full installation. Study to learn more about the durability of the window coverings that you choose. If you have questions about the details of the proposal, then it is important that you talk to the company before agreeing to the work. After we are done with the window covering installation, you will notice an immediate difference in the overall appearance of your home. Many people love the benefit of relaxing at home after a long day at work. Beautiful window coverings will provide the privacy that you need at the end of your workday. Additionally, these products will create the luxurious lifestyle that you want to enjoy. If you are considering the benefits of new window coverings, then we invite you to talk to our team for more information. We will come to your home and complete an inspection. You are always welcome to ask questions and learn more about the ways that we can help with your home.